Summer means reading! And TFHS softball. And outdoor music. And disputes over aforesaid music. And the busy season for farmworkers, who face difficult and sometimes illegal working conditions. 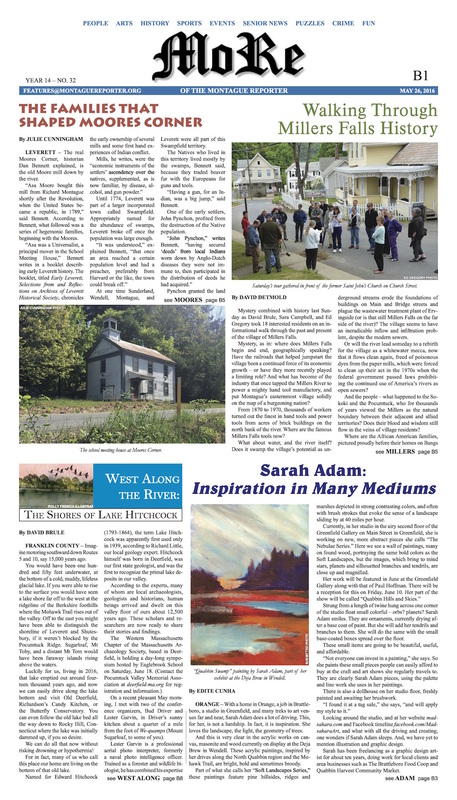 Read all about these topics in this week’s issue. 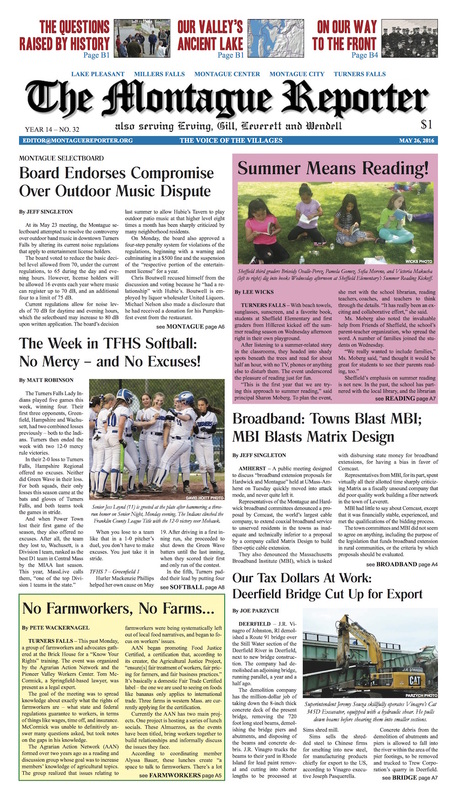 Plus: The latest in the broadband/MBI saga; Deerfield bridge cut up for export; a call to again rethink the TFHS mascot; notes from the Erving, Montague, and Wendell selectboards; reminders from the Wendell town clerk; and a guest editorial argues for downtown sculptures. MoRe: Go back in time and experience the histories of Millers Falls, Moores Corner, and Lake Hitchcock. A local artist provides inspiration in many mediums. Part III of Turners Falls Goes to War, our series revisiting the Spanish-American War of 1898. Looking to fill your calendar this weekend? Consider a reception at Rodney’s, as well as two benefits for a new experimental art gallery in search of a home. Our Spanish language page, Aquí se habla español, features the laundromat fashion show, Cinco de Mayo, and a poem (with translation) from a reader. We’ve also got Weird Healing; a feline Chelsea girl seeking a home; our latest farmers-marketgoer-on-the-street interview; the Healthy Geezer on hiccups; an introduction to Operation Smile; and the ever-popular Montague and Gill police logs, featuring close to a dozen species this week!